I spent a lot of time thinking about this post. Not only is it the first of 2016, it kicks off a weekend of birthday celebrations for our family. 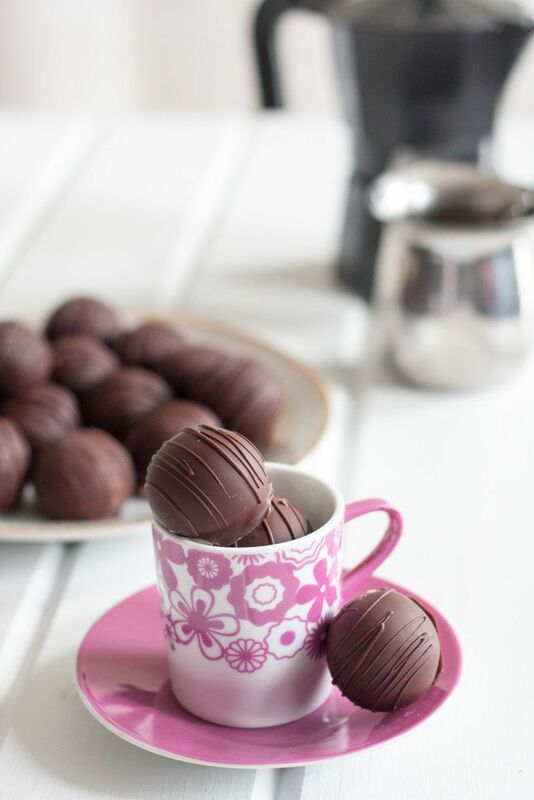 I wanted this recipe to be relevant somehow to all this change and celebration, and the most fitting idea came to me in the form of Cuban coffee truffles. 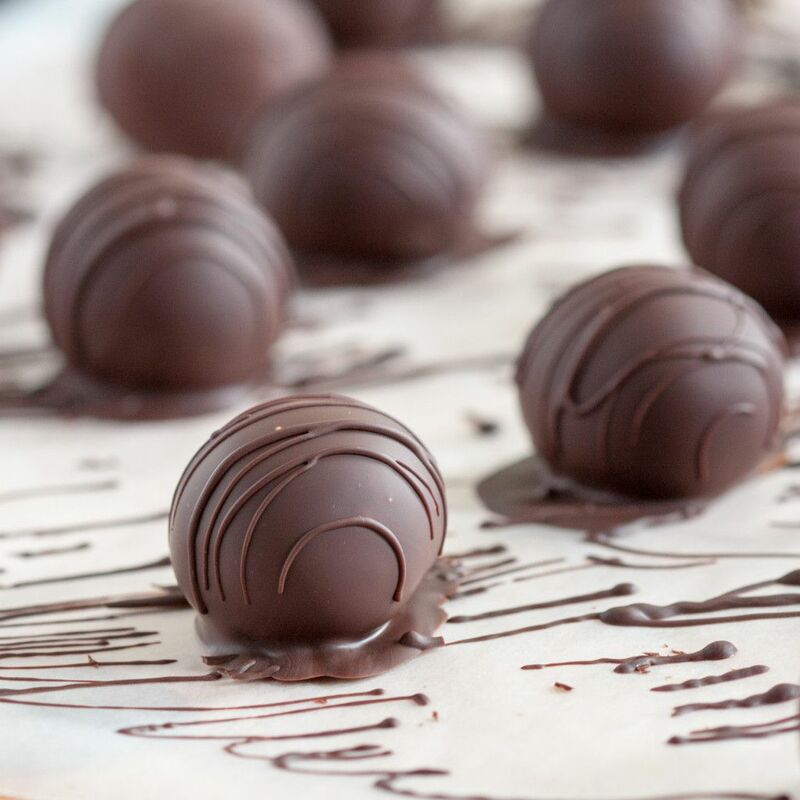 Truffles, with their creamy ganache center enrobed in rich chocolate, are a sweet meant to be savored with the richness of one being enough to evoke a smile. In a way, truffles teach us something about life. As I look back on the past year, and look forward to the new, I see how important it is to be present and mindful of those little moments in all aspects of our lives because each one, enjoyed individually, is what makes living sweet. The original idea for a Cuban coffee truffle actually came from a gift box we purchased for my mother-in-law a few years ago. We were looking for something unique, and we came across a boutique chocolatier in Coral Gables who offered a “Cuban flavors” chocolate truffle gift box. One of the flavors was a Cuban coffee truffle. I thought it sounded very unique, and I set out to replicate it with the Godfather’s enthusiastic approval, because Cuban coffee ganache is something every coffee lover needs in their life. When making white chocolate ganache for truffles, I will often skip using couverture chocolate and just use white chocolate chips. First, because white couverture chocolate is a little difficult to find locally for some reason. Second, white chocolate chips actually hold their shape better in a ganache so it’s a little easier to dip the truffles since the ganache will be nice and firm. You can make the ganache up to 2 days in advance. To dip the truffles, you have two options. You may either use a candy coating – several options are readily available in most grocery, craft, or cake supply stores – or you may choose to temper chocolate. We’ll cover that in detail another time. For now, I’ll send you to this website to get full details on tempering and the proper temperatures for the different kinds of chocolate. I used a dark chocolate to cover these truffles. In a glass mixing bowl, combine the white chocolate chips, salt, heavy cream and butter. Microwave for 1 minute at 50% power. Stir. Repeat. Microwave at additional 30 second intervals as needed until the ganache is smooth and the chips have melted. 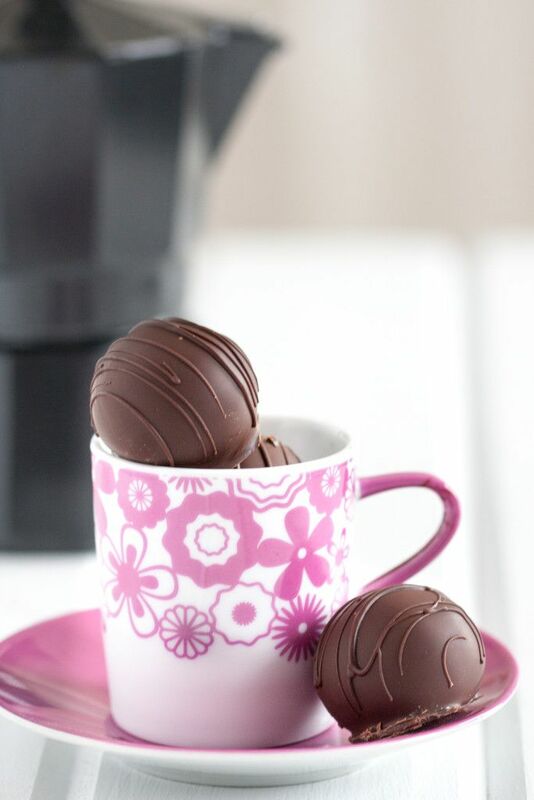 Be sure to stir after each round in the microwave to ensure even heating so your chocolate doesn't seize. Once your ganache is smooth, stir in the espresso. Cover the ganache and set it aside for 3-4 hours (or overnight) to set. When the ganache is set, line a baking sheet or cutting board with wax paper, parchment paper, or a silicone liner. Use a tablespoon or small cookie scoop to measure your truffles. Refrigerate 1 hour until chilled. Temper your chocolate or melt your dipping candy. Remove the truffle centers from the refrigerator and using your hands, quickly smooth each round into a ball. Dip into the tempered chocolate or dipping candy and place on a clean liner to set. Store up to 2 weeks in an airtight container. Enjoy! This might be a silly question but is the coffee freshly made and warm when added to the ganache or room temperature? Either actually works since the ganache hasn’t set yet. Hi, I was wondering how many truffles this recipe makes because I’m making them for a class project. Thanks! More coffee in my day? Yes, please. 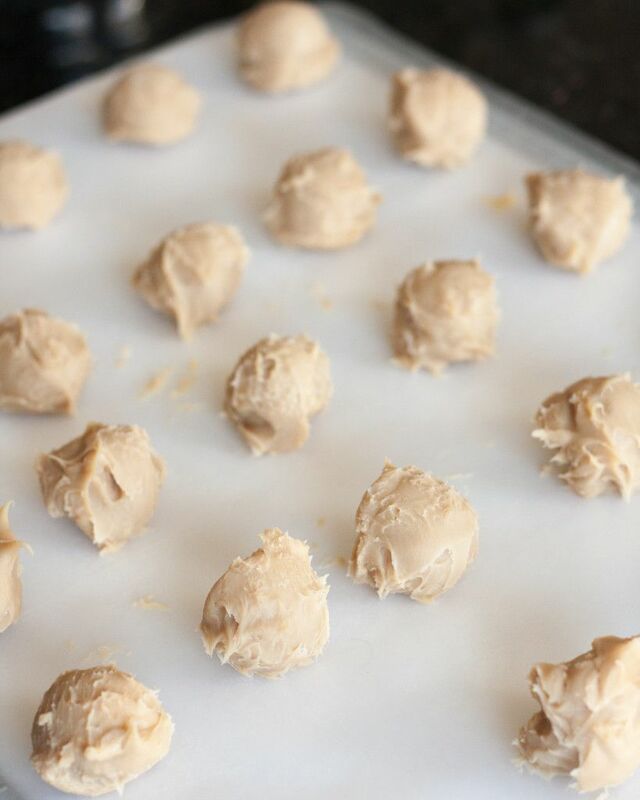 My truffles never look this perfect–bravo! 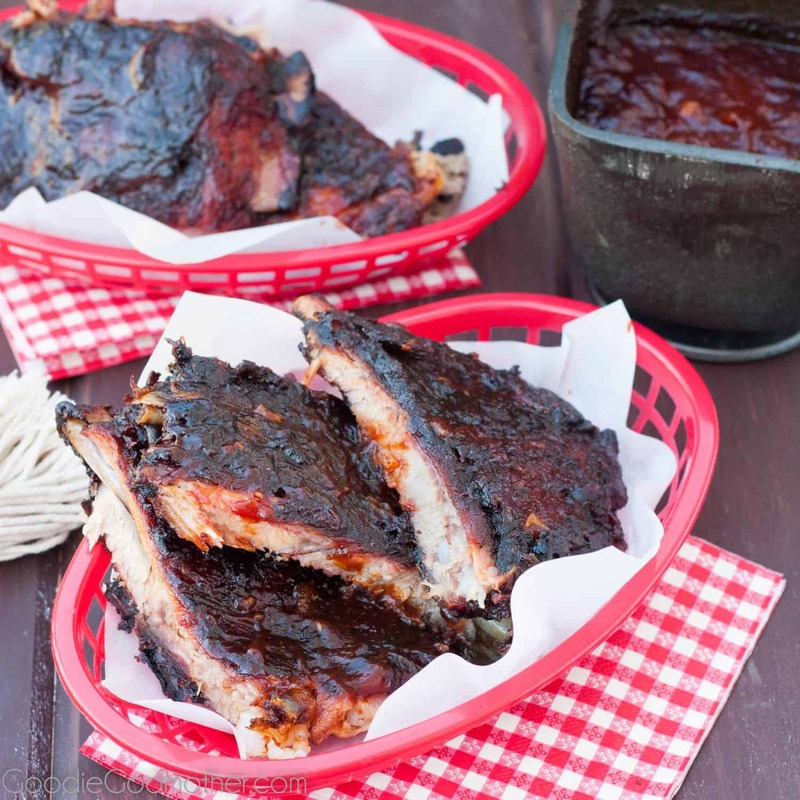 I am in the process of making this recipe and it’s looking (and tasting) delicious! I was wondering if you let the ganache set at room temperature or in the fridge. I assume you meant at room temp (before the rolling step). If so, is there a benefit to doing it that way instead of putting it in the fridge? Thanks! Hooray! 🙂 Yes, I do set at room temperature because it’s the best way for me to confirm that my white chocolate ganache is indeed at the correct consistency. In the past, I’ve set white chocolate ganache in the fridge, then made the mistake of using it immediately and found that it was too soft, which was quite the mini-disaster! So to prevent that situation from happening again, I take the extra time and let it set at room temperature. If you’d like to cut the set time down, you can place it in the fridge, but I would remove it and let it sit at room temperature 15 minutes or so afterwards to ensure that it’s the correct consistency for scooping. Enjoy! Wow. Good to know. I considered purchasing the Ghirardelli bar, but looked at the ingredients and nutritional info on both and they appeared to be identical. So, I bought the chips since they were a better value. I will try this recipe again using a bar of chocolate. Also, I am borrowing a Bialetti Moka Express from a friend so I can use actual espresso this time instead of strong coffee. Excited to try it! It will be my fourth time making this recipe. I’m loving it and am hearing great feedback from friends! Thanks for sharing. Holy cow! I’ve never made truffles before, and really never even thought about it, but I seem to KEEP those Lindt truffles in my pantry as I’m pretty obsessed with em. I can’t imagine having some homemade though, I may have to attempt this project soon! YUM. Yeah right, who can actually hold on to truffles for two weeks?!?!?!?!? Not this girl. How do you get your balls to look so perfectly?!?! Seriously… I have tried so many different time to get them so pretty and I just can’t seem to. Going to have to try your recipe very soon…. and ya know, because coffee is the best thing ever! Ha! It might be time to bake a little at the farm, although perhaps melting chocolate isn’t exactly baking. :-p I love how the white chocolate ganache takes on the flavor of the coffee very well. Oh my!! My mom would love this, she is a big coffee fan and who doesn’t love chocolate?! So it would be a great gift for her…hmm Mothers Day gift I think!! Absolutely! You can even find a beautiful box at a craft store for a professional presentation! Mary, don’t think you should eat all of those truffles alone. 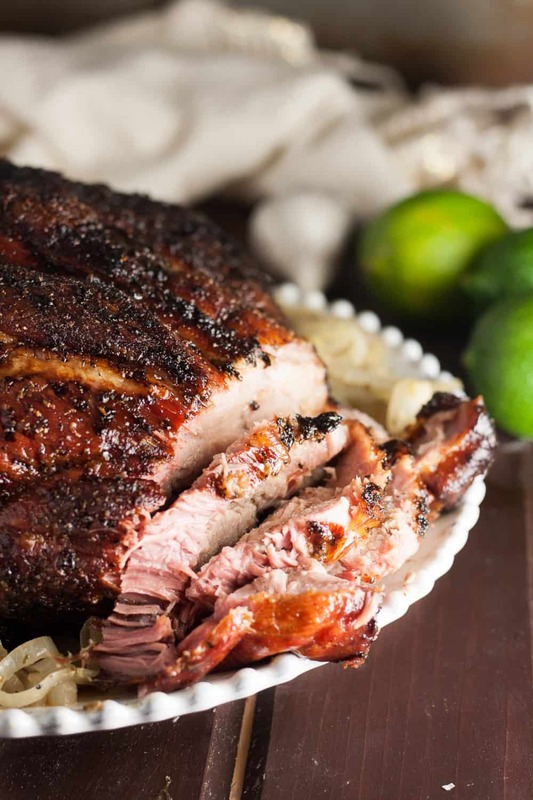 You need to invite your Project Foodie friends over. 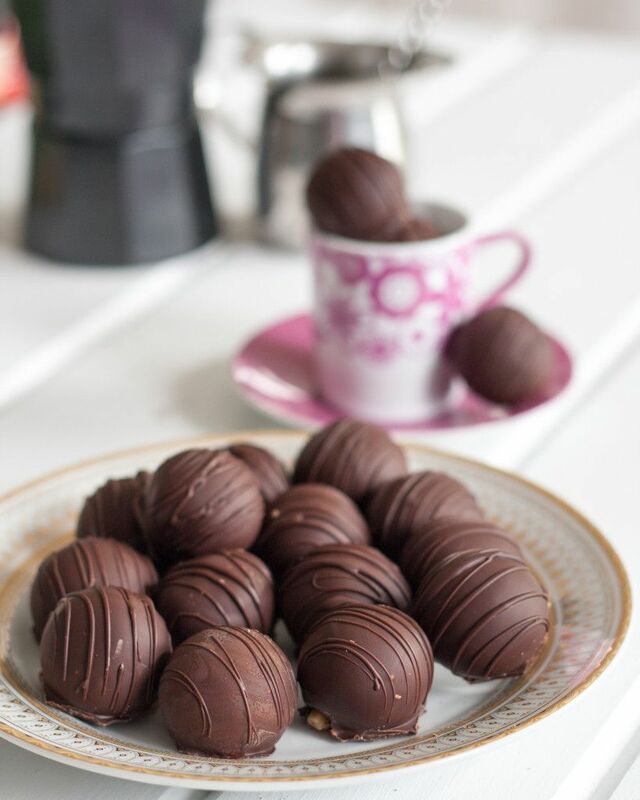 😉 I’ve made truffles before, but never coffee flavoured truffles. 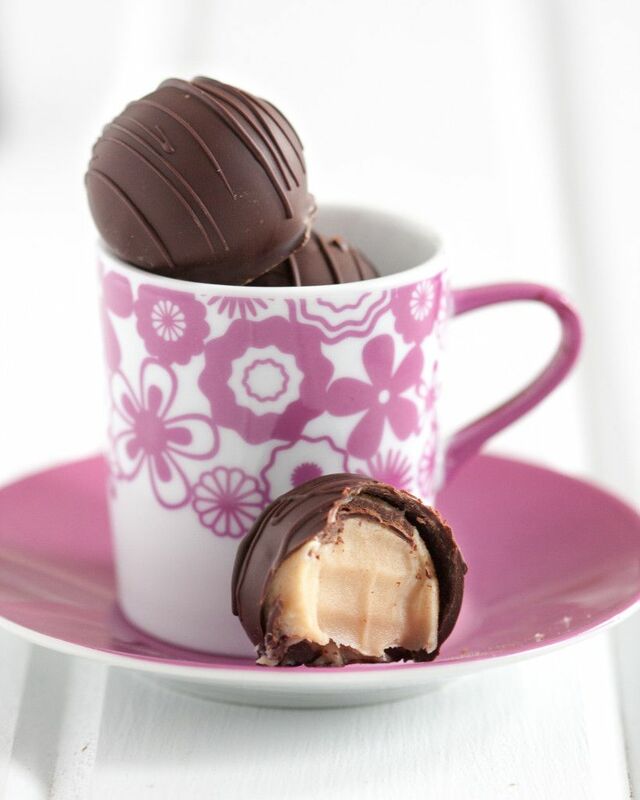 Since I’m a coffee junkie, these are going on my foodie bucket list. Thanks! Ha! 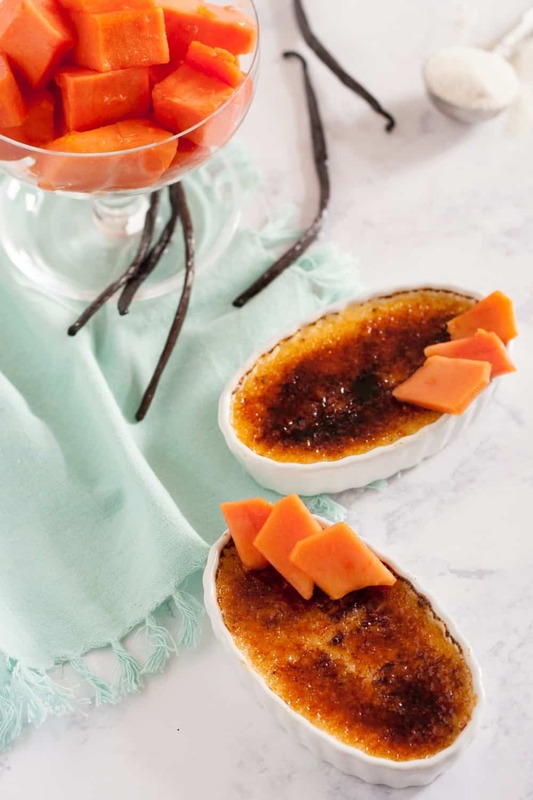 This would be the perfect treat to share! My neighbors might not be so happy though. 😉 Enjoy!